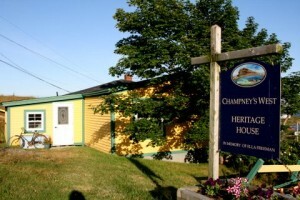 The Heritage museum in Champney’s West became a reality due to a couple of significant occurrences. The first, being the generous gift of the original house, made by Dr. Marjorie Ragosta in honor of her mother Ella Freeman. The second being the hard work and dedication of local volunteers, supported by government programs, to restore the house, acquire local artifacts and begin recording the written history of the people. Besides being extremely generous to the community with her immense donation, Marjorie is a very remarkable woman. This 82-year-old has been visiting the Faculty of Arts facility at Memorial University, regularly since the mid-1990s. Her project is tracing her family tree and identifying those she calls “my people.” In some cases she has gone as far back as 12th century England and maybe even further by now. Dr. Ragosta is the daughter of Ella Freeman of Champney’s West. The home she donated was one that she had purchased for her mother to enjoy on her trips back home. She began tape recording the reminiscences of her family when accompanying her mother during those visits to Newfoundland in the 1980s, from their home in New York. The hard work and perseverance that has been demonstrated by Marjorie is seen as a guiding influence and an anchor from which to maintain an on-going work that will help to bring history into today. Due to her influence numerous other actions have taken place that will lead to a continual interest in history of the area and its preservation. During 2008 – 09, the local members of the Heritage Society embarked on a fund raising drive and garnered support from government departments to restore the house in traditional flair. This was successfully concluded. Yet, even before the house restoration efforts the volunteers began a quest to gather additional information and collect artifacts from the local area, a quest that continues today. A big part of the fact finding work was conducting direct interviews with our oldest residents, aimed at recording history using the words of those who remembered it. These records will compliment the research of Dr. Ragosta and together will always be preserved at the Ella Freeman Memorial Heritage House as recorded history to which future generations can add. Today the museum contains an artifact display, an audio/visual display, and an in depth written history of the people and the place. 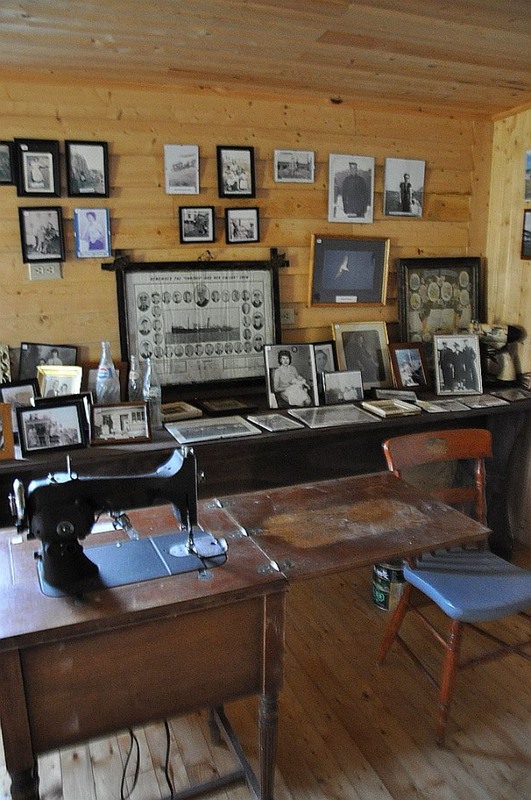 The Museum is home to a vast amount of written material and hundreds of pictures of the early settlement, fishing activities and people from the past and up to today. Inside you will find displays of historic fishing equipment, home appliances, sailing making equipment, quilts and bedding, gramophones, old furniture, and many other items. You can read diaries from past residents describing the way of life and you can also listen to recordings of interviews conducted by Dr. Ragosta with past residents whom provided historical summaries of their life and the community, in their own words. From the windows of the Heritage house you will be afforded a wonderful view of the community and the ocean headlands of the area. Ella Freeman Heritage House as seen from the bottom of Jack’s Hill. 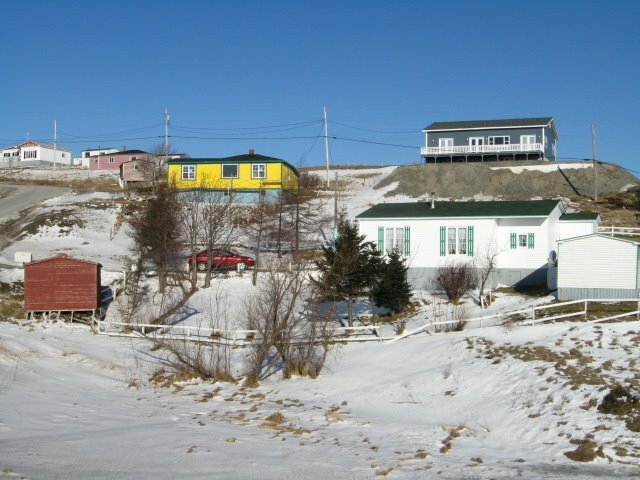 To get to Champney’s West, take the Trans Canada Highway (Highway #1) west from St. John’s. Drive approx 2- 21/2 hours and soon after passing Clarenville, leave TCH and take the Discovery Trail Route 230 to Port Rexton Turn right off Route 230 onto Champney’s West Road until you reach the community. If you are driving the TCH east from the central area of the province, watch for the Discovery Trail sign and turn left onto Route 230. The Ella Freeman Heritage House is the bright yellow wooden clad building on your left just as you begin to descend Jacks Hill. There is a sign clearly marking the location as seen in the picture below. Click on “Museums”, then “Regional Listings”, then “Eastern”. 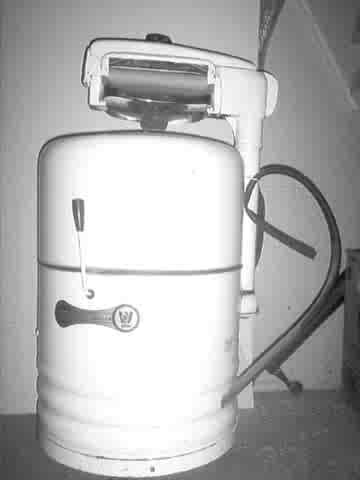 Open the entry by clicking on the photo. MANL offers a resource centre, advisory services, publications, courses, seminars and an annual conference. 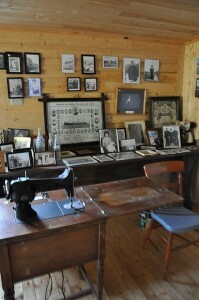 Interior of the Heritage House.